Wisconsin-based Johnson Controls are trying to “shirk” their US tax obligations, Clinton says. HILLARY CLINTON HAS slammed a planned deal by a US company with the Cork-based Tyco. The planned ‘inversion’ move by Johnson Controls is “outrageous” the White House hopeful said. She insisted that she would block such moves as president by using an “exit tax”. Tyco International and Johnson Controls announced yesterday they plan to merge in a tax-saving deal that combines the Irish-based firm’s operations in security and fire safety with Johnson’s businesses, which include energy storage. The merger will result in $150 (€138) million in annual tax savings as Johnson, based in Wisconsin, will shift its base for tax purposes to Ireland. Under the deal, Johnson shareholders will own 56% of the equity of the combined company and receive cash of $3.9 (€3.6) billion. Tyco shareholders will hold the remaining 44%. The two companies expect the deal to result in at least $500 (€460) million in cost savings over the first three years. “These efforts to shirk US tax obligations leave American taxpayers holding the bag while corporations juice more revenues and profits ,” Clinton said in a statement. I have a detailed and targeted plan to immediately put a stop to inversions and invest in the US, block deals like Johnson Controls and Tyco, and place an ‘exit tax’ on corporations that leave the country to lower their tax bill. It’s not the first time the frontrunner for the Democratic nomination has spoken out against such deals. She found herself reading from the same hymn-sheet as GOP hopeful Donald Trump last year when pharma giant Pfizer announced its €160 (€150) billion reverse merger with Botox maker Allergan. More: What are inversion deals? Announced in November, the deal sees the newly-created company, Pfizer PLC, shift its tax base to Ireland even though its operational HQ will remain in the US. America couldn’t delay in “cracking down on inversions that erode our tax base,” Clinton said at the time. Trump was even more forthright, calling the move “disgusting”. 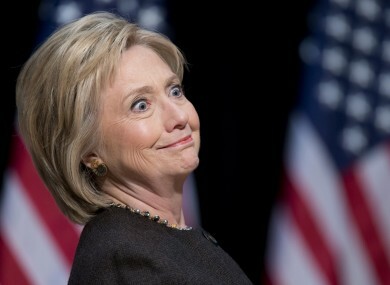 Email “"Outrageous": Hillary lashes US company's 'inversion' deal with Irish firm”. Feedback on “"Outrageous": Hillary lashes US company's 'inversion' deal with Irish firm”.